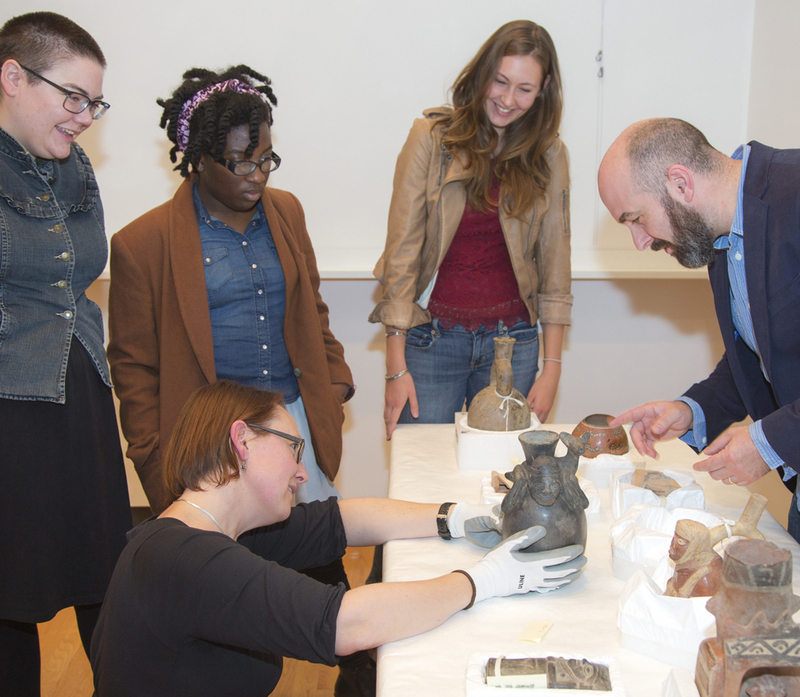 Professor Klarich's introduction to the archaeology of food was one of several classes that utilized the special exhibition The Potter’s Tale: Contextualizing 6,000 Years of Ceramics. Studying the objects on view in small groups, students focused on such topics as ceramic technology, archaeological context, and ornamentation. Of her Museum experience, one student remarked: “Visiting the exhibition made me realize that the functionality of the bowl is far more than just a vessel for food. The bowl is an aesthetic, artistic pleasure, a means of conveying meaning, and a marker of social inequality— the bowl is much more than just a bowl!” This revelation sheds light on the crucial role real objects can play in a liberal arts education.